This time, I am going to tackle a game I game master, and was also put in mind of when reading a forthcoming novel from Philippa Ballantine. And even more poignantly, the game that inspired the title of this column. This time, I am going to discuss the White Wolf game Exalted. At the dawn of the First Age, the gods gave power to men that they might slay the gods’ Primordial enemies. Anointed by the gods, these beings were thereafter known as the Exalted. The greatest of the Exalted were the Solars, the Chosen of the Unconquered Sun, the mightiest of the gods. So great was their power that, when a Solar died, his power was quickly made manifest in a new individual – a reincarnation of sorts, but into a mature adult rather than a newborn. The Exalted triumphed over the enemies of the gods, and in reward, the gods gave the Exalted dominion over the Earth. For a timeless age, the Exalted ruled justly over Creation, and their kingdom was invincible. But the enemies of the gods had pronounced a terrible curse against the Exalted. This dark magic ate away at the hearts of the Chosen. The benevolence of the Solars turned to tyranny, and peace turned to civil war. It was prophesied that the madness of the Solars would bring about the destruction of the world. Seeing no other alternative, the lowliest of Exalted, the Dragon-Blooded, murdered the decadent Solar Exalted and locked their souls away. And so, a Second Age descended upon Creation. The greatest of the gods’ servants no longer walked the earth, and the Realm of the Dragon-Blooded was but a shadow of the lost old Realm. Solar Exalted whose power escaped to be reborn were slain by Dragon-Blooded inquisitors known as the Wyld Hunt, and the Realm claimed dominion over Creation. For more than a thousand years the Solar Exalted remained imprisoned and defeated – until now. The Scarlet Empress, the Dragon-Blooded ruler of the Realm and controller of the Wyld Hunt, vanished five years ago. Without her might to enforce order in the Realm, the Great Houses of her Scarlet Dynasty have fallen to squabbling over the reins of power. And in this time of crisis, the Solar Exalted have returned. It is as if a gate was opened and the heroes of old rushed through it and returned to the world. Your character is among those individuals who have become Solar Exalted. You are a being of legend, as mighty as a demigod and as cunning as an asp. Will you be the savior of Creation or one of the terrible menaces that beset your world? Exalted takes place not on earth, or even a planet. The world of Exalted is indeed flat, a world several times the area of our own Earth. The sun is a magical machine that travels the sky each and every day, run by a God. In fact the entire world is Gods all the way down. That rock on the side of the road has a God, just as the road does. At the borders of the Exalted universe are the lands of Chaos. Subtle at first, but as you continue to press into the realms of Chaos, reality breaks down, until there is nothing but madness. And the lands of Chaos are full of threats not only to the Exalted but to the entirety of Creation itself. There are beings there who, thousands of years after Creation was established, still dream of destroying Creation and returning it to the Chaos from which it was born. And did I mention an Underworld, a dark mirror of Creation, just as large, where the death-aspected enemies of Creation lurk (as well as the souls of the dead from centuries past? Oh, and those enemies of the gods, the Primordials? Well, the ones that were killed lurk in the Underworld, plotting their revenge. And the ones just defeated? Well, they lurk in the literal hell of this universe, a hell built from the body of their defeated King. Think they wouldn’t love to try and get out and get revenge? You betcha. Or perhaps you might like to play a Lunar? Shapeshifting counterparts to the Solar Exalted, they ran for the border when the Solars got massacred. They play games of kingdoms, trying to make Creation strong against foes like , say hose from Chaos. And did I mention shapeshifting? Forget werewolves, when you can change into a wolf, a mouse, or a terrifying combination of man and lion, swinging a sword bigger than you are. Or perhaps you want to play one of the secretive Sidereal Exalted, the *real* backers of that Usurpation that threw down the Solars and now run Yu-shan, home of the Celestial Gods. How do you think you would feel about the Solars returning if you played one of them? Or maybe you want to play a noble of Chaos, one of the fey Raksha? Want to tear creation down, or just try to make your ‘story’ (Raksha are all about their story) immortal? Or maybe you want to be a bad guy, and play one of the Abyssal Exalted, the Exalted of death and the Underworld, or even an Infernal Exalted, the new servitors of the Primordials? 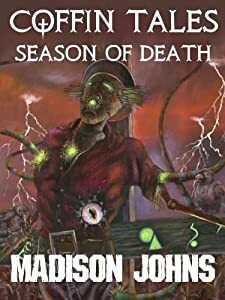 Within all of these, the possibilities can range from intrigue and adventure in the great city of Nexus, Indiana Jones-style hunting for lost tombs and artifacts, faction and intrigue in the Scarlet Empire, and much, much more. Want to be the magical fantasy equivalent of Iron Man? Exalted has an equivalent to both power armor AND mecha! Or maybe you just want your Dawn to tame and ride a dinosaur to battle! Yep, you can do that, too. (Actually, the character in my game who did that was a Twilight. He’s named the Allosaur “Fred”). Or maybe you want to fly an airship? The Haslanti League, up in the icy far north has airships. Or what about the Eagle-riding inhabitants of the Flying Mountain. Or…you get the picture. So how do the mechanics of the game work? The game uses a variant on the White Wolf Storyteller system that first appeared in its popular Vampire: The Masquerade game. You’ll need ten sided dice. Lots of ten sided dice. Aside from the type of Exalted, your character will have a Caste which further narrows and specializes the character. Each of the Exalted types have them. Solars have Dawns (warrior types), Twilights (Savants, Sorcerers and Builders), Eclipses (Diplomats), Nights (assassins and spies) and Zeniths (holy types). Characters have a number of abilities arranged in the categories Physical, Mental and Social, and will have a number of skills. All of the abilities are ranked with “dots” ranging from 1-5, and skills are ranked from 0-5 dots. To do something is usually a combination of an ability and a skill. Players roll a number of ten sided dice equal to the number of combined dots and try to get numbers of 7 or higher (0’s are 10s and usually count double). Want to hit someone with a sword? That would be Dexterity plus Melee. Want to lift the giant statue that is blocking your way? Roll your Strength plus Athletics Want to see if you notice something going on? That would be rolling Perception plus Awareness. In addition to this there are charms, which can be thought of as magics idiosyncratic to that type of Exalted (although Eclipses, the Diplomats, can sometimes learn charms from other types). These feats are amazing and make the Exalted, especially the solars, head and shoulders above mortals. Speak to a crowd and sway them to your will. Dodge an otherwise undodgeable attack. Fire an arrow unerringly over a mile to hit its target. Walk into Chaos and forge it into more reality. Forge a magical axe taller than you within a couple of days. There are also relatively mundane charms that “only” give you more dice or more successes on those ability plus skill rolls. There are magic spells and sorcery itself in the setting too, but those are more ritualistic and usually take much longer than charms. But the effects are as large or even larger than what charms can do. The system is flexible enough such that, yes, you can have a Twilight who is very good at fighting, and an Eclipse as interested in spell creation as forging treaties. Although the basic mechanics of actions are relatively simple, things get complicated with the dozens of charms characters can learn and use, and combat itself is a turgid mess of a subsystem that takes a lot of practice to get into. Roll to see if you hit, check to see if it gets through the armor, roll for damage sounds simple before you get into charms that provide perfect defense, or a free counterattack, or double the attack damage, and so on. It is so complicated that a recent revision of the game has attempted to change it and fix some of the many problems as it stands with the system. I have not yet personally run a combat under the new rules, so I can’t comment if they actually work. Yes, its a complicated system. So complicated that one of my friends has a lead role in updating a piece of software called Anathema to do character sheets. And really, something like Anathema is needed to really play the game effectively. The mechanics are a complicated set of moving parts and keeping track of it all is not easy, especially to program into a game sheet. But its a labor of love. What can writers and readers learn from Exalted? Don’t be stingy and parsimonious in your world-building. Exalted turns the dials to 11 and keeps them there. With a couple of dozen books on setting, character types and more, the fecundity of imagination and weirdness are unbelievable. Even scarier, the map is so large, and so little comparatively is covered that you can and should fill in the canvas with your imagination, good advice for any reader or writer. The other thing writers and readers should learn from Exalted is to be wide ranging in your source material for your own work. The inspirations of the game designers include a lot of anime, but also a lot of other things as well. A look at the Suggested Resources in the front of the main core rule book has suggestions ranging from Crouching Tiger Hidden Dragon to Hawkmoon to the computer game Jade Empire to, yes, the Iliad. (Think about it. Achilles is a Dawn, Odysseus is an Eclipse, and so forth). Inspirations and ideas can come from the most unlikely of combinations, and any writer worth her salt should recognize that. I haven’t played a lot of Exalted, but it has a very appealing setting, different from you standard pesudo-medieval fantasy.